Today we were pleased to have Reeces here for her morning assessment at the Fort. 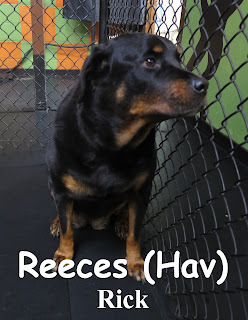 Reeces is an 8-year-old Rottweiler. I must say that we were very pleased with her disposition. She seemed comfortable and confident and showed her ability to handle herself within the pack well. We look forward to seeing more of Reeces in the future. First rate job today Reeces!